Seeing the amount of photos my husband and I have amassed in nearly six years of marriage has prompted me to add a weekly installment to my blog, Photo Flashback. I'll dig through our bulging photo folders and find a blast-from-the-past photo to showcase with the briefest of explanations . Enjoy our youthfulness! 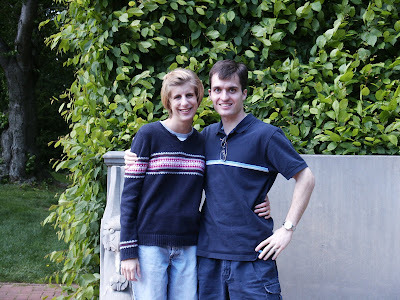 This first photo is from the spring of 2002, a week after we were married. Shane and I toured Longwood Gardens, a beautiful horticultural estate south of Philadelphia.